Mycosis is caused by fungi (fungal or mycotic diseases are basically several diseases caused by microscopic fungi, which tend to multiply on the surface of the skin (superficial mycosis), or in the organs themselves. When this disease appears for the first time, relapses are common and medical treatment tends to be long. Mycoses are infections caused by different species of fungi that are located in the epithelium or outermost layer of mucous membranes, skin and nails. Mycosis appears more often in tropical, humid and hot climates. Trichophyton rubum is the most common infectious agent in the world and is the cause of 47% of cases of tinea corporis. Trichophyton and Microsporum is the most common agent in children. 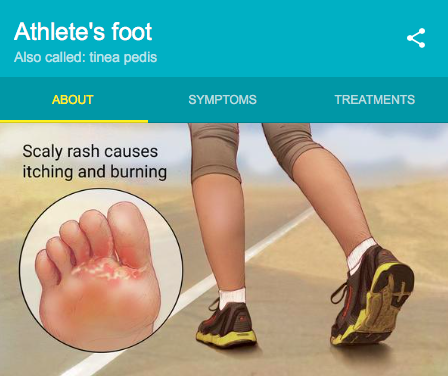 Mycosis pedis or athlete’s foot, is the most common superficial cutaneous mycosis worldwide, affecting the majority of the population (79%) at some point in their lives. The risk increases with age, and men are more affected but there is no predilection for any racial group. Among the triggers, we can mention some as: occlusion – nylon socks, sports shoes, hyperhidrosis, hot and humid environments, peripheral arteriovenous insufficiency, chronic diseases – diabetes, chronic use of antibiotics and topical or systemic steroids; as well as sports activities involving occlusion or prolonged humidity, such as skiing and swimming. Exposure in swimming pools, gyms and public baths. Perform activities without shoes in areas contaminated with dermatophytes. This promotes the appearance of ringworm and omnicomicosis. It affects especially the spaces between the toes and is very common among athletes, teenagers and sea workers. Redness, bad smell and blisters appear in the folds, which then turn into fissures. Direct examination: Material from the bottom of the fissure or the top of the blister / vesicle should be collected using a No. 15 scalpel blade or swab. Carry on a slide, add KHO solution to 20- 30% with Parker ink, let it act for a few minutes or accelerate the process by heat for a few seconds. Examine under the light microscope to identify septate hyphae of dermatophytes. Cultivation for fungi: It allows the morphological identification of the species of fungus. Cultivation and antibiogram: Allows to discard and treat properly associated bacterial infections. Dry properly the interdigital spaces after the shower, bath or sports activities. Change shoes and socks at least twice a day. Morning daily use of antifungal powders, for example bifonazole, in socks and shoes. Baths with potassium permanganate solution in 1: 9,000 dilution, 1-2 times / day or 20-30% aluminum chloride, once or twice daily in case of highly inflammatory lesions with serous or purulent secretion. Add topical antibiotic according to the result of the cultivation. Use of topical antimycotics: terbinafine, bifonazole, clotrimazole, econazole, with twice daily application of cream or solution for an average of three weeks, it gets mycological response rates higher than 94% in tinea pedis. Use of systemic antimycotics: griseofulvin, imidazole, itraconazole or terbinafine in extensive or very symptomatic cases as in the inflammatory variety, relapses, lack of response to topical treatment and patients with risk factors – diabetes, arterial or peripheral venous insufficiency.